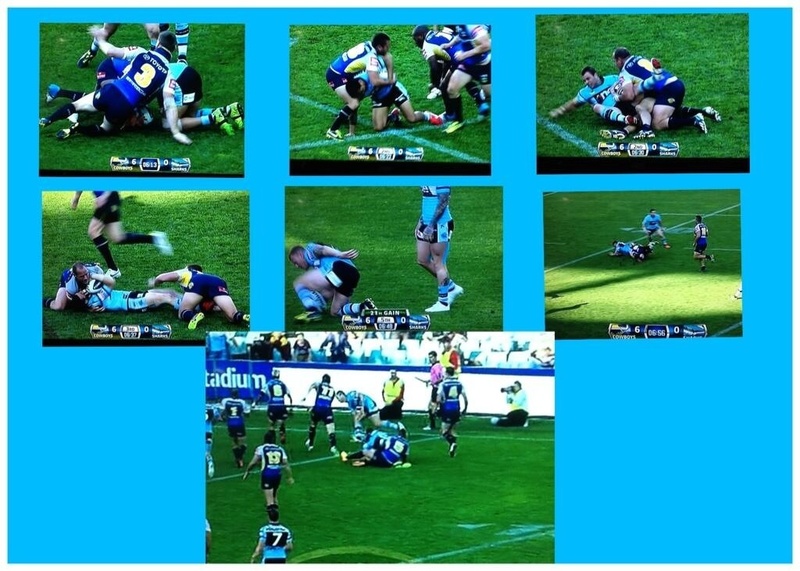 The Cronulla Sharks have scored a try on the 7th tackle in their finals match against the North Queensland Cowboys. This is the second year in a row that this has occurred to the Cowboys in the finals. What a shocker by the referees!